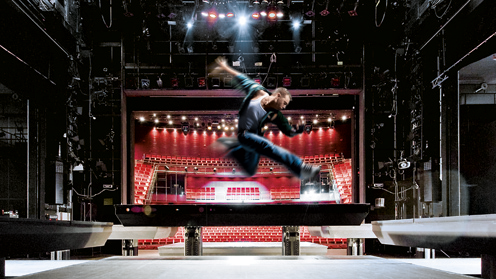 Stage control systems must be easy to operate, allow for elements to be added at a later time, and allow the director and set designer to let their imaginations run free. 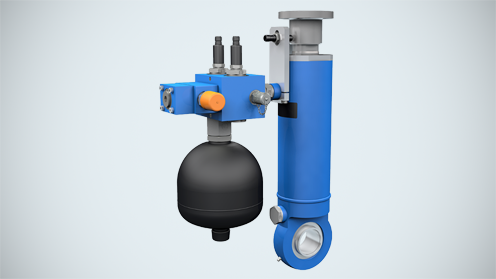 Our Emergency Stop Damper enables dampening of high loads, is active above the nominal load and required no feedback control. Safety first! 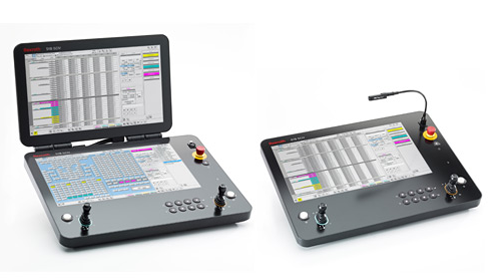 The latest generation of Rexroth’s SYB 3.0 combines innovation with over 30 years of experience in stage control and automation. Stage technology on board of cruise ships. We can provide all necessary drive and control systems. Safety in theatres raises a number of questions associated with technology, but also in accordance with control. Bosch Rexroth can reduce some of the possible risks by ensuring safe control systems, certified to SIL 3 levels. A few hundred risks are identified, which are linked to safety features; all according to the highest SIL 3 safety levels and certified by TÜV. Safety first, on all fronts. Our service specialists support you during the entire life-cycle of your machines and installations. This enables you and the operators to save costs and to significantly increase the availability and efficiency of the systems. Rexroth knows these demands better than any other partner for stage automation and adds a very objective evaluation. Experienced specialists always focus on the individual solutions in order to take all of the factors for an optimal balance between technology and economics into account. Please get in contact with our Stage technology experts directly.